Collect all of your waste glass for recycling.You may wish to use an additional sturdy dustbin or container that can house all your recycle Recycling is easy and you don’t have to start big to make an impact. Glass containers, bottles and jars, such as those used for food and beverages can be included for recycling. Jars and bottles for example: glass tomato sauce and mayonnaise bottles, glass coffee, jam or pickle jars; glass cooldrink bottles, beer and wine bottles. Windscreen glass, window pane glass, mirrors, light bulbs, drinking glasses and tumblers, PyrexTM or laboratory glass. 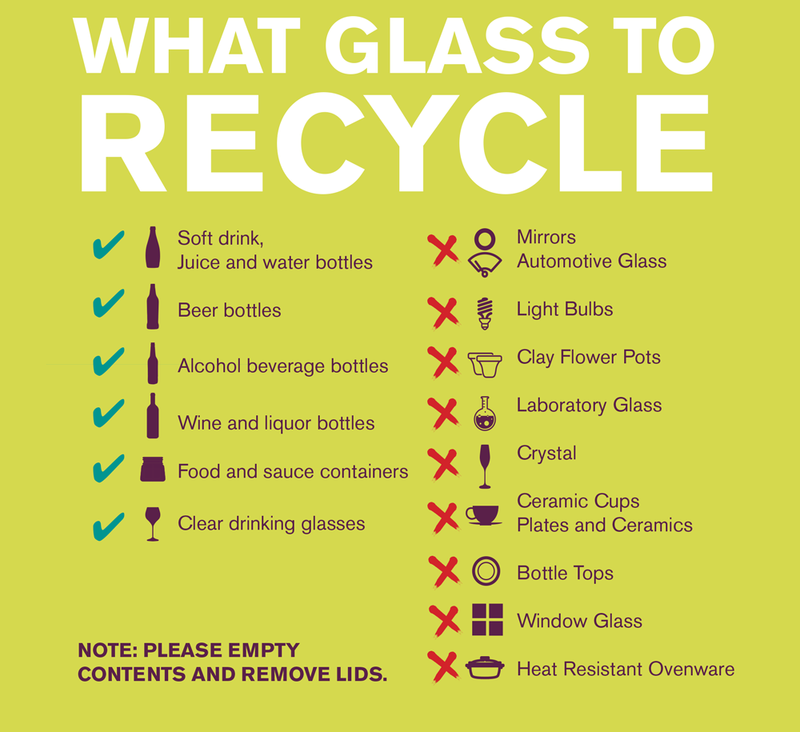 These items cannot be recycled with your regular glass recycling as this glass has different properties to packaging glass. If your glass jars are dirty, rinse out any food or leftover drink with water and remove the lids or caps. Next find a glass bank or recycling point. 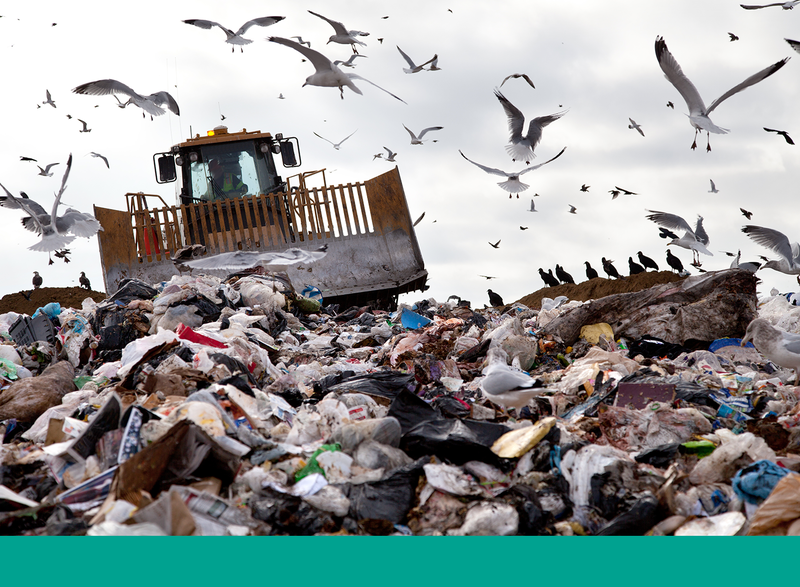 There are recycling points at many service stations, shopping centres, municipal refuse drop-off sites and buy-back centres. Click here for a list of our glass banks where you can recycle glass. You can also SMS* “Glass” and the name of your suburb to 32310 to find a glass bank in your area. For example: Glass Fourways *Please note SMS costs R1, free and bundled SMSs do not apply. Lastly simply drop off your glass at your local glass bank or recycling point! In South Africa, it is not necessary to place different coloured glass into separate banks. Be sure to take your friends and family with you and show them how and where to recycle their own bottles! Begin recycling at the office and not just at home, encourage your school or local community organisation to participate or start their own recycling programme. Plan your trips to the glass banks to fit into your daily schedule – it will become part of your plan rather than a chore! If taking your waste glass can’t be accommodated into your daily routine, contract the services of a waste removal company to collect it from your home each week. You can prevent even more glass from going to landfill by being sure to take back returnable bottles to the store you bought them. These will be sent back to the manufacturers to be hygienically cleaned and sterilised. Returnable bottles are then refilled and reused. Returnable bottles include large beer bottles such as ‘dumpies’, glass cola bottles and many spirit and liquor bottles. South Africa has one of the most sophisticated returnable systems in the world! Returnable bottles are then refilled and reused.